A little Fall weather is finally here today! It is 75 degrees this morning, instead of the usual 90! It is so nice to open the windows and to wear a sweater without sweating to death! I need to shop my closet more too.. sometime rearranging the clothes you have help freshen things up! Interior shopping is so fun too! You should do an apartment decor post when you're done! Love how you layered here! A 7 year old jacket?! Closet purging can be so fun sometimes. I like cleaning/organizing mine at the end of every season so I can get ready for the next one. Don't you love looking through your closet and finding pieces that you totally forgot about but LOVED at the time?.. I have a few old pieces that I still love and wear and can't part with them.. Love this look and those pants are fab! Our closet is totally awkward in shape and I'm always finding things in there that I forgot. It's so great! 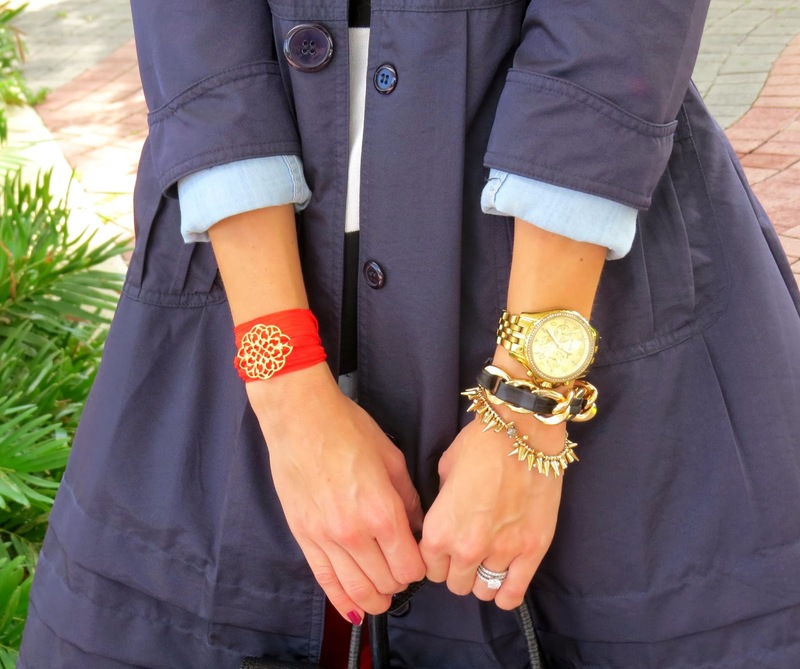 Love this layered look and that jacket is a great closet find! I am in love with this outfit. Navy blue, stripes, and chambray. You put all of them in one! L O V I N G it all! Flawless from head to toe! Great outfit! 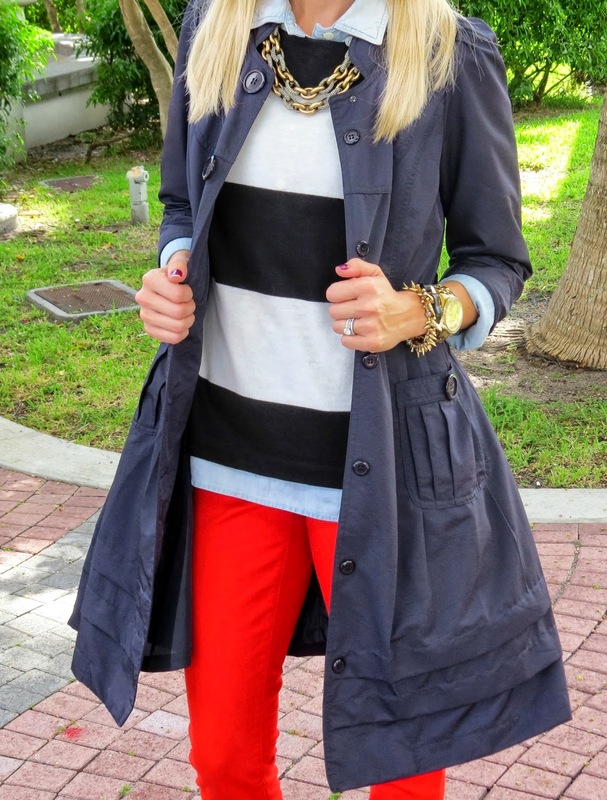 The jacket is cute and so perfect with red pants and stripes.